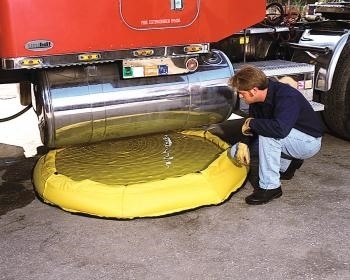 Pop Up containment pool easily handles up to 150 gallons. Easy to unfurl under a saddle tank, pipes, hydraulic lines, other areas of spill potential. Chemical resistant. Will fold up for easy storage and lightweight. The prefect addition to spill kits. Cab mount container is available or a carrying case to store on truck or in a truck.